Yay!. Valentine's day is coming once again. Few more days and it's here. I know lovers out there are already thinking of what gift like ps3 games for your man or Coach bag for your lady. 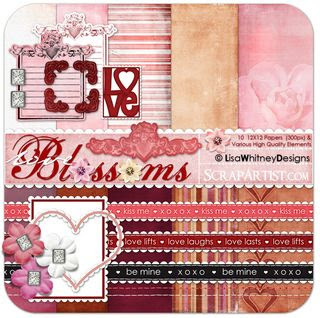 This Valentine's freebie digi-kit from Lisa Whitney is perfect to sacrap all your Valentine or any photos. I am not that active in scrapping lately but hopefully soon so I still hoarding this beautiful digi-kit. Enjoy scrapping.